With record numbers of people their cancelling cable television subscriptions it’s increasing making sense to simply connect your laptop to your TV and watching movies and TV programs this way. 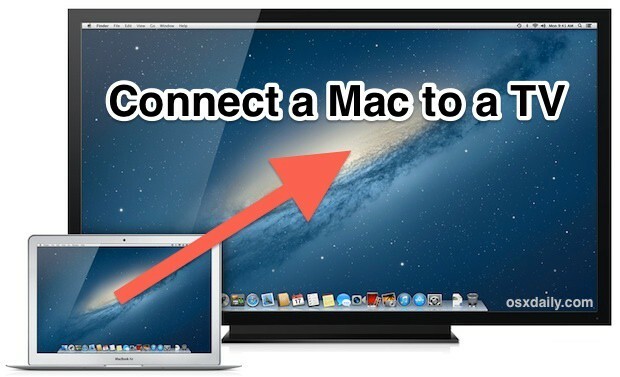 So read on for all you need to know about connecting your MacBook to your TV! First you will need to determine if your TV has a HDMI input. 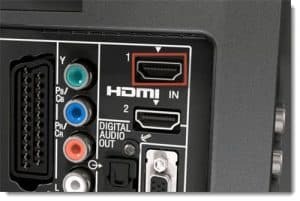 Most TVs that were made since the mid 2000s have at least one port, so have a look at the back and see if you can find out. Photo to the right shows a TV with two HDMI ports on the back. If your TV does have HDMI, read on. You will now have to find out which video port you have on your Mac, so that you can get the right cable/dongle. Unless the computer is very old it will have either a HDMI port, a USB-type C port, a Thunderbolt port or a MiniDisplay port. Check out the illustrations below to see which one your Mac has and to find out what cable you’ll need. The Retina MacBook Pros have a HDMI port which is located on the right-hand side of the computer, as per the picture above. If your Mac has a HDMI port you will need a HDMI cable, which are common and can be purchased either at any electronics store or here via Amazon. The Retina MacBook only has one port, the USB-type C port on the left-hand side of the computer. This port functions as video-out, so you will need a HDMI to USB-C adapter as well as a USB cable to connect a Retina MacBook to your TV. The adapter can be purchased here via Amazon. If you have a MacBook Air or a non-retina MacBook Pro made after 2008 then the computer will have either a Thunderbolt port or a Mini DisplayPort, as seen in the picture above. For both of these ports the adapter from Amazon here. Once you have obtained a HDMI cable and adapter all you need to do is plug it into your TV and select the correct input on the TV for the port that it is plugged into. 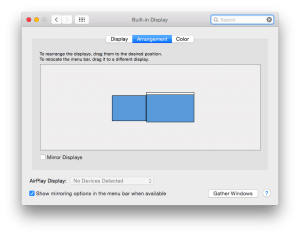 By default your display should show up on the TV screen, and you can go into the display part of the system preferences to toggle mirroring and change the arrangement of the TV screen and your MacBook screen (see below).